The .45 ACP is one of the most popular self-defense handgun cartridges in the United States today. Made popular with the adaptation of the Model 1911 semi-automatic pistol, this classic combination served as the standard issue handgun for the U.S. Armed Forces for 75 years and saw action in theaters of war around the globe from World War I through Vietnam. The .45 ACP has a relatively low muzzle velocity when compared to other popular handgun cartridges such as the 9mm, however, it’s utilization of a heavy weight range of projectiles allow the .45 ACP to have a manageable recoil while still generating high energy on target and a high power factor which makes this a very popular choice for Major division pistol competitors. Peak Performance’s .45 ACP 230 gr RN Remanufactured pistol ammunition makes the most of the ballistic advantage of the .45 ACP by using a 230 grain .45 caliber round nosed projectile loaded to an average velocity of 730 feet per second which equates to a power factor of 172. The high mass and low velocity combine for a “softer” recoil .45 ACP cartridge, perfect competitive shooting in Major shooting IPSC, USPSA, and IDPA handgun divisions where recoil management is paramount. 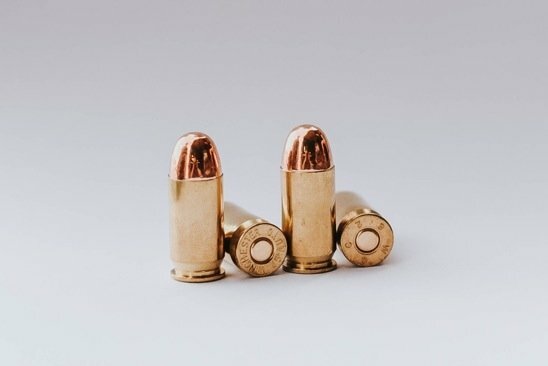 This blend of balanced ballistics, round nosed bullet, and loaded into Peak Performance’s remanufactured .45 ACP brass cases which has been case gauged and hand inspected makes for a safe and reliable performance pistol ammunition that is a pleasure to shoot in both competitive and general plinking settings. Peak Performance provides their .45 ACP 230 gr RN Remanufactured pistol ammunition 100, 250, 500, and 1000 count quantities to fit whatever your shooting and budget requires.